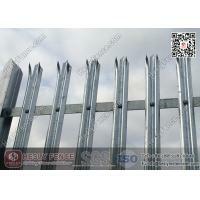 Looking for a strong and secure fence to protect your premises? 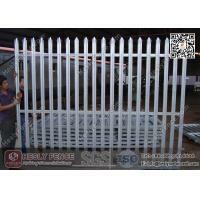 HESLY Steel palisade fencing is a high level security fencing system that is tried and tested to offer maximum protection and at the same time offer value for money. This type of fencing, once installed, can act as a perimeter fence, or within your property to create a secure internal compound. 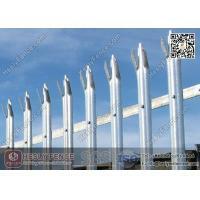 Steel palisade fencing, although not as popular as it was, is still a very secure method of perimeter protection. 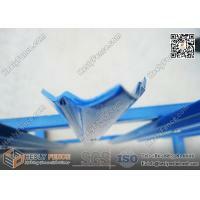 Available in heights from 1.2m to 3m and two different pale sections, ‘D’ section and the more common ‘W’ section. The most common pale top finishes are triple point for maximum security, or rounded and notched. Other top configurations are available. 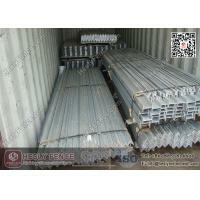 Pale thickness varies, 2mm, 2.5mm or 3mm. 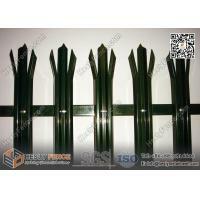 Fences are assembled either by riviting or using snap off anti vandal fixings. 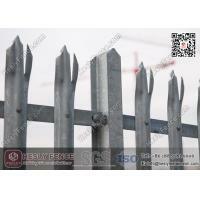 HESLY Palisade fencing is particularly popular with schools and businesses that need industrial strength security fencing but at the same time not creating the claustrophobic effect of a solid fence. 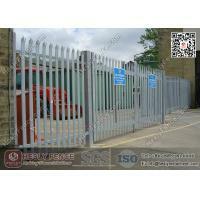 The HESLY steel palisade fencing is always galvanised and often Polyester Powder Coated (PPC) to almost any colour, not only does this prevent rust and ensure a long service life, it is also virtually maintenance free. 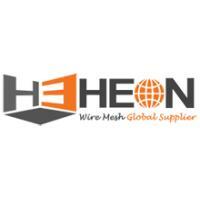 Maintaining a secure perimeter is your first line of defense against potential threats. 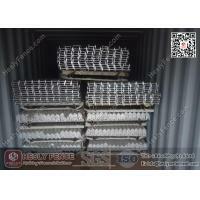 The HESLY Steel Palisade fencing systems serve as a visual deterrent backed with heavy steel components that give a higher level of protection compared to the traditional chain link or architectural mesh fence alternatives. 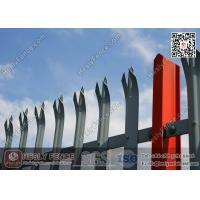 The HESLY Steel Palisade Fencing is the best choice for securing at risk facilities or protecting specific assets within a property. 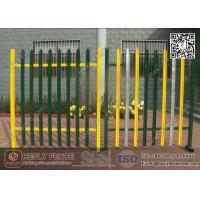 Also the HESLY Palisade Fencing System provides an attractive solution for pedestrian-resistant security barriers. 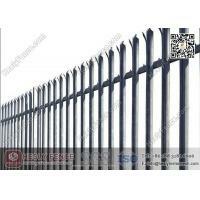 Utilizing high-strength steel components, this affordable security fence system is configurable to meet a wide range of risk-based requirements. 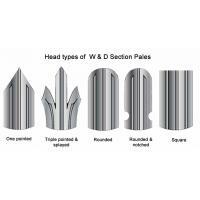 Panels feature strong and secure steel pales, available in a full range of top designs, depending on the security and architectural requirements. 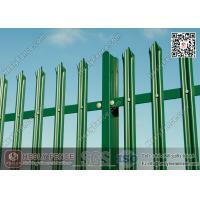 With standard heights of 8’, 10’ and 12’, Steel Palisade Fence is an effective and attractive security barrier. Panels are installed on rails in front of the posts, allowing for a finished appearance that is seamless for fence lines of any length. 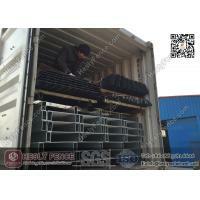 This configuration allows for fast installation - and means that exact post spacings are not a requirement! Choose from a wide range of gate styles, including pedestrian and drive Swing gates, as well as Slide and Cantilever gates. 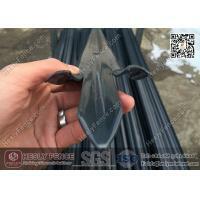 Palisade Fence panels and gates are manufactured with galvanized tubular steel, then protected by HESLY’s exclusive Super-Durable powder coating. This coating provides longer protection from U.V. rays and salt spray than either E-Coat or standard polyester coatings. 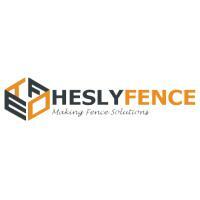 The HESLY Steel Palisade Fencing is backed by a 15-Year Manufacturer’s Warranty, giving you the peace of mind that the world’s leading producer of fencing stands behind this product. 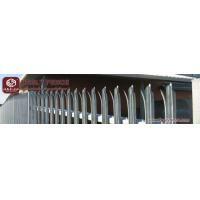 The HESLY Palisade Fencing system presents an architecturally-pleasing security barrier design that deters potential attacks with pale designs to discourage scaling, and delays intrusion with highstrength steel construction designed to withstand impact. 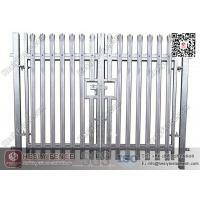 Because of its unique rail support, this security fence can be installed in as little as half the time required of conventional systems that are set between posts. 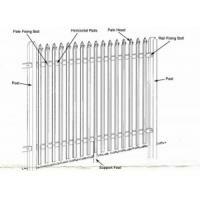 This barrier solution can be integrated with Intrusion Detection and other electronic security components, protecting cabling through a raceway of steel rails within the framework of the Palisade Fence System. High-quality galvanized steel is coated with our exclusive superdurable, Architectural Grade Powder Coating, providing the industry’s longest-lasting protection.